The Reeducation of Savannah McGuire is finally here! This honky-tonk friends-to-lovers romance made my heart sing. Read my spoiler-free book review and enter for a chance to win a $100 gift card! 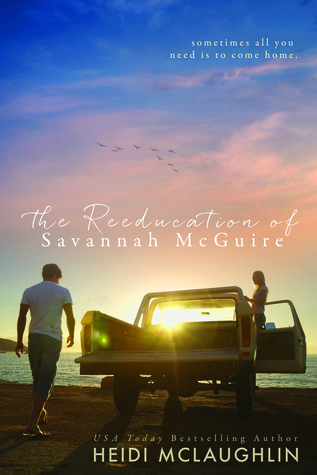 The Reeducation of Savannah McGuire is sticky sweet southern comfort food for the soul. This honky-tonk friends-to-lovers book made my heart sing! While reading this book, all I could picture was fitness model Gary Taylor (also known as The Iron Cowboy) as Tyler King. I want a cowboy now… please. I devoured this sweet country fairy-tale in one sitting. This story didn’t have any extra unnecessary drama or angst; it was just a smooth read. I want MORE Tyler and Savannah (stamping my foot like a 2-year-old). When this book ended, all I could think about was when is the next book coming out? I love these characters. Get your one-click ready to get this new romance from Heidi McLaughlin.